Amarri is using Smore newsletters to spread the word online. First off you shouldn't use a lot of heat on your hair because that might be one of the reason why your hair is breaking off, and you should check the temperature on the heated object. 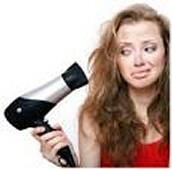 Make sure you don't mix any products on your hair before using the heated object. Make sure your hair is not wet make sure it's all the way dry. Make sure you cut and trim your split ends.